For those who do not have their own camping facilities, the club has 3 touring caravans available for hire. 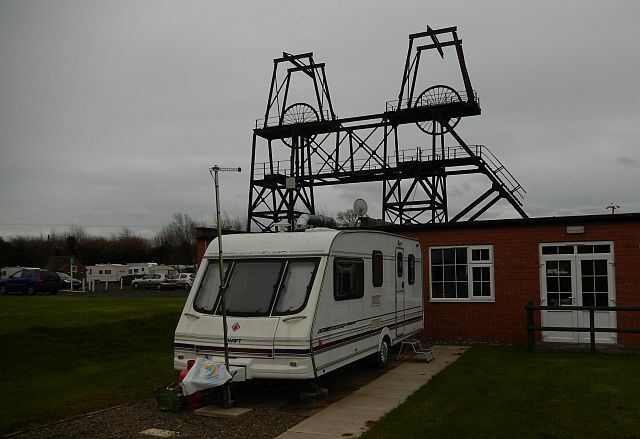 One of the caravans [R1 ] is sited adjacent to the ‘Windings’ shower and toilet facilities, the others [R2 & R3] are at the rear of the clubhouse. They are clean and provide basic needs. They have heating, cooking facilities and television. You will need to bring, bedding, towels and toiletry items, also you are encouraged to use the conveniently situated shower and toilet block. Rental caravan 1 next to the path showing the ‘Windings behind which houses the toilets and showers with hair dryers and shaver point. All three caravans are available at a cost of £30 per caravan per night, These prices are based on up to two adults. Additional persons are required to pay £10 extra per adult, per night. When accepted as a member [probationary, counts] you will be eligible for a £10 discount. Although pets are welcome on site, unfortunately due to hygiene reasons they are not allowed in the rental caravans. No smoking rules also apply within the rental caravans. PLEASE NOTE None of the rental caravans are suitable for wheelchair access. You may reserve any of these vans via the Booking officer telephone number 07760618367 If you get the answer phone please leave a message, with contact number and your requirements so the diary can be checked, for availability. Rental vans R2 and R3 are at the rear of the clubhouse.